Last weekend a delegation from the US Presbyterian Church meet with Syrian President, Bashar Al-Assad, during their week-long visit to Syria where they linked up with various partner churches and monitored work carried out by their own aid agencies. It seems that there had been no plans to meet with the Syrian President when the delegation arrived in Syria, and no doubt there would have been some serious debate in the ranks of the delegates as to whether they should go ahead with the meeting. In my view they made a courageous decision. I believe church leaders should be speaking to everybody – government and rebels alike – if they think it can help the cause of peace. 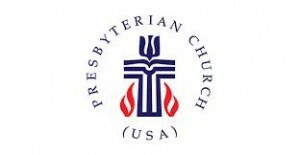 No doubt the Presbyterian Church USA will come under intense criticism from some quarters for agreeing to meet with Assad, particularly from within America. It will be interesting to see how things develop. The PC USA failed to hold its ground on ‘Boycott, Divestment and Sanctions’ against Israel for the Palestinian Occupation. Perhaps they will waver on Syria in a similar way? What follows is a copy of the letter from the ‘Stated Clerk’ of the General Assembly of the PC USA, delivered to the Syrian President at the meeting. It expresses the concerns of the church for the people of Syria and reaffirms the PC USA General Assembly’s call for a non-violent resolution to the conflict. You can download a PDF of a scan of the original letter here. As people of faith committed to peace in the world, we are deeply grieved by the tragedy that continues to unfold in your nation and the surrounding region. We have special and deep ties to Syria and the region, because our Presbyterian Church (U.S.A.) has been in partnership with the National Evangelical Synod of Syria and Lebanon for over a hundred years. We long to find some way we can be helpful to all who are involved in seeking a resolution to the conflict. 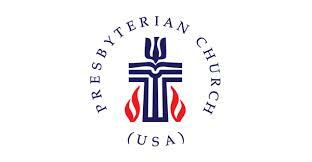 You have been gracious in receiving representatives of our church in the past and I write as the leader of the Presbyterian Church (U.S.A.) to ask that you receive Elder Amgad Beblawi, as my personal representative. Our highest governing body, the General Assembly, has called for a mediated process leading to a cessation of violence by all parties. We have called for outside parties to cease all forms of intervention in Syria. We have urged a role for the United Nations as the most appropriate arbiter of the crisis. We have urged our own government to refrain from any form of military intervention in the conflict. We pray for success in the Geneva peace talks scheduled to take place next week to find a way out of this tragic and costly struggle. You too, are in our prayers, along with all who look to you for leadership. This entry was posted in Press Release, syria news, syrian civil war and tagged PC, Presbyterian Church, syria, Syrian President, USA. Bookmark the permalink.